The best part with traveling the Philippines is that it offers unlimited adventures-- not to mention that it's dirt-cheap going around here. A country with 7,107 islands will surely never run short of fun and adventures. With our vast coastline offering numerous white sand beaches, magnificent mountain ranges, diverse culture, and delightful dishes, we offer endless fun to everyone. Here are some reasons why it's more fun in the Philippines. It’s no secret that our country is home to some of the best beaches in the world. Allow me to rave about the fine sandy beaches of Panglao Island, Calaguas Island and Boracay Island, the remoteness of Caramoan, Cagbalete Island, Palaui Island and Malcapuya Island, the rawness of Palumbanes Island, the vast shoreline of Pagudpud, the clear blue waters of White Island in Camiguin and the beauty of Anawangin and Nagsasa Coves. For those who are up for more adrenaline rush, there are so many places here offering adventure and fun. Explore the caves of Sagada and Cagayan Province, experience the spectacular sunrise atop Mt. Pulag, dive in and be in commune with the rich marine life in (Coron and El Nido) Palawan and Apo Reef, surf and be stoked in the mighty waves of Puraran, Baler and Siargao, ride through the raging and wild river rapids in Kalinga and Cagayan de Oro City, and swim with the massive whalesharks in Donsol. From hole-in-the-wall to high-end restaurants, there is always a great place to eat here. After all, it is said that eating is Filipinos’ favorite pastime. While travelling, dig on some of the famous and exotic cuisines. Sample out the Filipinos favorites like adobo, sinigang, lechon, crispy pata, laing, kaldereta, lumpia and sisig. Enjoy the sweets like halo-halo, sorbetes, taho, bibingka, leche flan and ginataan. For those who have more adventurous palate, try balut, isaw, butete and fried frog legs. Despite the fact that majority of Filipinos are living under dire economic conditions, it’s amazing to see and meet people who still exude kindness and warmth. There is definitely no shortage of people who would offer genuine smiles to visitors, a cup of free coffee to early morning mountain hikers, provide accurate direction to lost travelers and honest cab drivers. There is so much to be learned about our country. Our history books provide a long account of how our country have survived the struggles and oppression brought by foreign rulers. Fort Santiago in Manila, Dapitan City, Zamboanga City, and Corregidor are some of the destinations that will provide a good snapshot of our historical timeline. It’s also interesting to take part in the many festivities around the country. Some of the most popular are: Pahiyas in Lucban, Sinulog in Cebu, Ati-atihan in Kalibo, Dinagyang in Iloilo and Masskara in Bacolod. 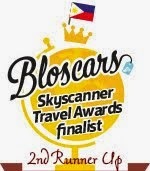 We have UNESCO Heritage Sites which include: Puerto Princesa Subterranean River National Park (1999); Tubbataha Reefs Natural Park (1993); Historic Town of Vigan (1999), Rice Terraces of the Philippine Cordilleras (1995); Baroque Churches of the Philippines (1993) - Church of the Immaculate Conception of San Agustín (Manila), Church of Nuestra Señora de la Asuncion (Santa Maria), Church of Santo Tomas de Villanueva (Miag-ao) and Church of San Agustín (Paoay). After visiting 80 of the 81 Provinces in the Philippines, I realized that we have a lot of places that deserve to be explored. There's more to see than the usual tourist route. 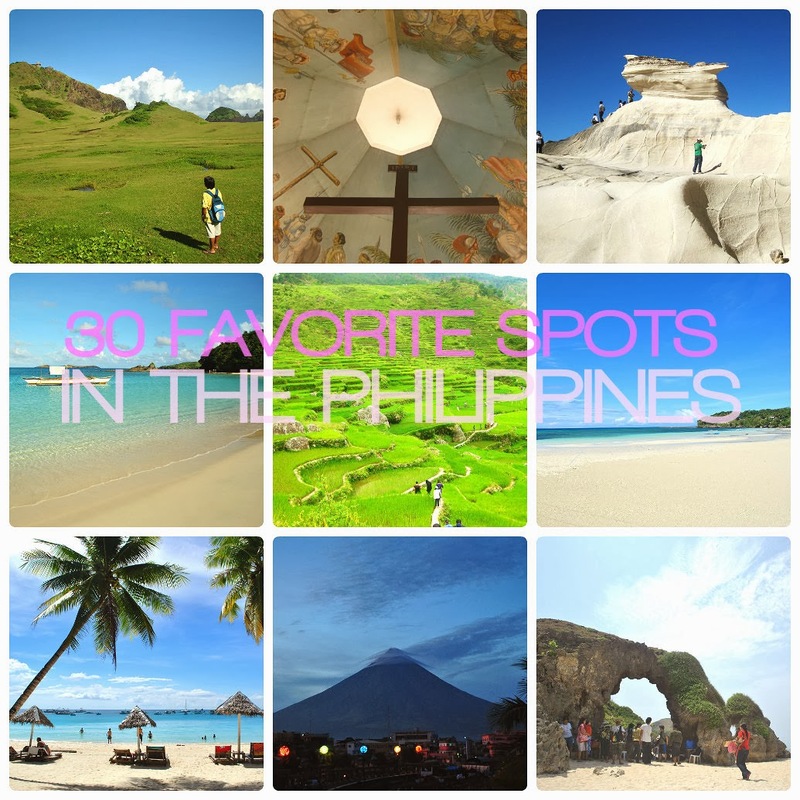 I'm sharing here my top 30 favorite destinations in the country. These are places that send me waves of bliss and joy, spots that awed me, and scenes that are so achingly beautiful that these made me feel extremely fortunate to have been in that specific spot at that specific moment. These are places that bring nostalgic memories, and the burning desire to revisit it again and again. 30. El Nido, El Nido!